I love photographing in winter. The landscape of whites, greys and blacks is as pleasing as the rich colors of spring, summer and autumn if seen properly. 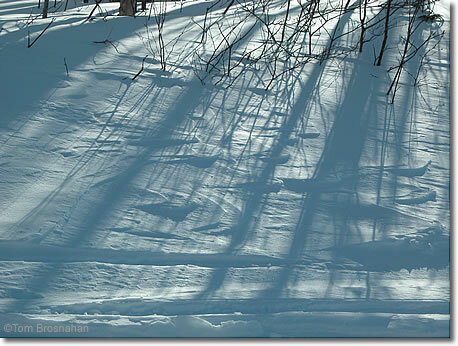 Here, trees and twigs, and patterns in wind-driven snow, make a ski-trailside work of art.